The Ryzen 5 1500X leaves the competing Intel chip in the dust, and passes the ball to its older sibling. After a rough couple of years for AMD, Ryzen brought the heat back to the red team’s fire. The Ryzen 7 1700 surprised us with excellent overclocking capabilities and extra cores for increased productivity. The Ryzen 5 1500X is a more standard offering, with four cores, eight threads, and a 3.6GHz base clock, all for just $189. The Ryzen 5 1500X enters a crowded market, seated directly across the table from Intel’s decidedly mid-range Core i5-7400 at the same price. Can the Ryzen 5 1500X stand out, or will it fade away into the background? AMD’s new Ryzen chips marked a new era for the red team, with a completely reworked architecture and selling point. 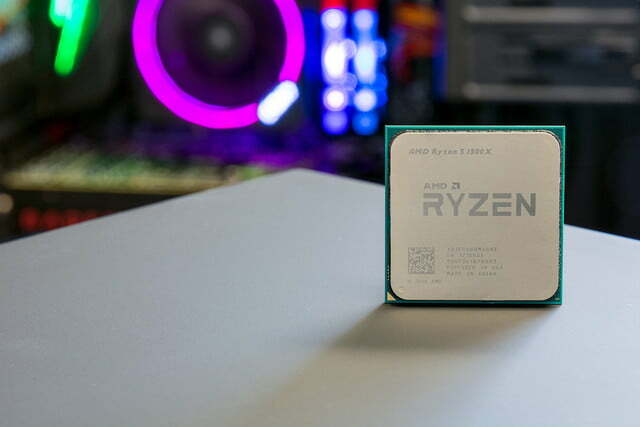 Those chips, particularly the entry-level Ryzen 7 1700, impressed us by bringing multi-core performance rivaling the more expensive Intel X99 CPUs to a much more affordable price point. If you’re interested in learning more about what makes Zen fresh and new, head on over to our Ryzen 7 1800X review. We’re even using the same review system as the last time around. We built it for the Ryzen 7 1800X review, with an Asus Crosshair VI motherboard, 16GB of DDR4, and a Samsung SM951 NVMe SSD. This review covers the four core, eight thread Ryzen 5 1500X, which carries a $189 MSRP, pointing it squarely at the Core i5-7400. 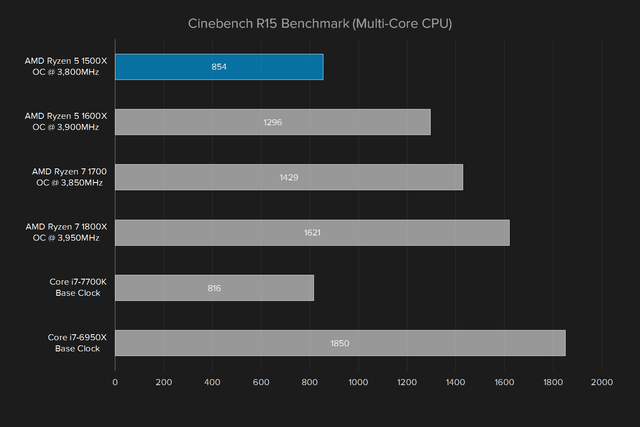 The Intel chip falls way behind on paper, with a 3.0GHz base clock to the Ryzen 5 1500X’s 3.5GHz, and the AMD option hits 3.9GHz with XFR to the Core i5’s 3.5GHz Turbo Boost. 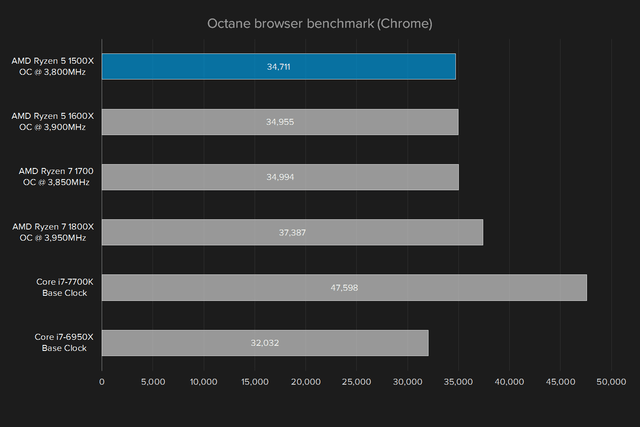 AMD secures the lead with a massive 16MB of L2 cache, plus 512KB per core, embarrassing the Core i5’s 6MB of SmartCache overall. Only the AMD chip arrives unlocked, if overclocking is in your blood. Intel includes its standard stock cooler, while the Ryzen 5 1500X packs in the AMD Wraith Spire, a new compact cooling option for Ryzen chips on the AM4 socket. Check out our Ryzen 7 1800X review to learn more about the Zen architecture all Ryzen chips are based on. 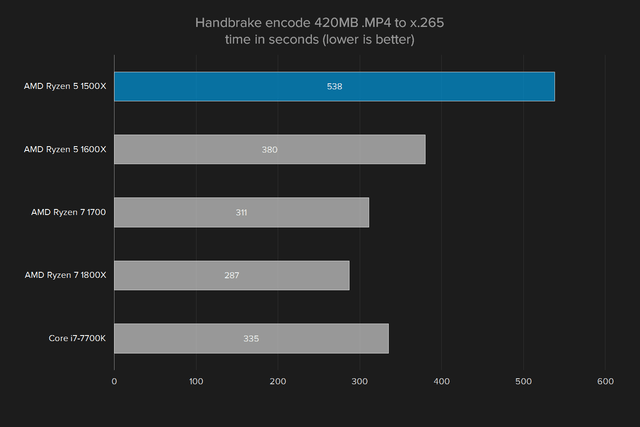 While our normal system testing is limited to the synthetic GeekBench CPU test, and a 4K encoding test through Handbrake, we run our CPUs through a more rigorous set of benchmarks. 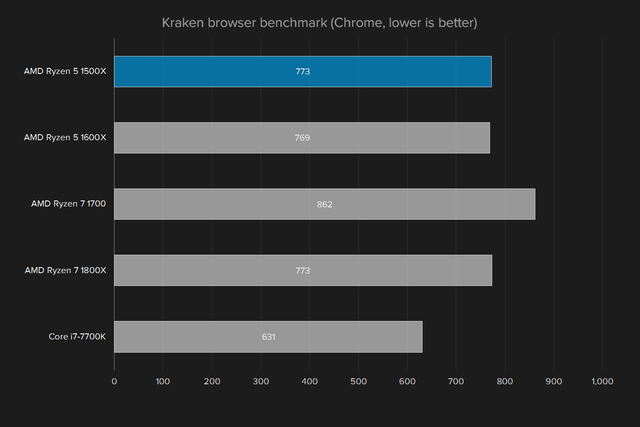 That includes the Cinebench multi-core rendering test, the 7-Zip built-in benchmark, and the Octane and Kraken browser tests. 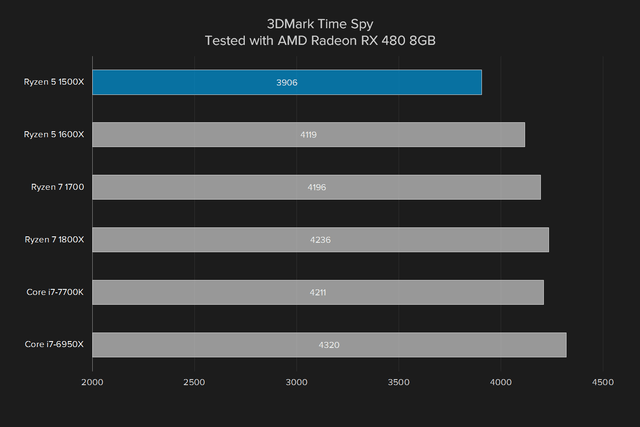 As we dig into these performance graphs, it’s important to note the Ryzen 5 1500X is the cheapest CPU in these tests by far. Its position as the lowest score in most of the tests is to be expected. That said, the Ryzen 5 1500X falls well behind the Ryzen 5 1600X, which packs in two more cores, and has a higher 95-watt thermal design power. The 1600X costs $60 more, but its extra cores make a dramatic difference. 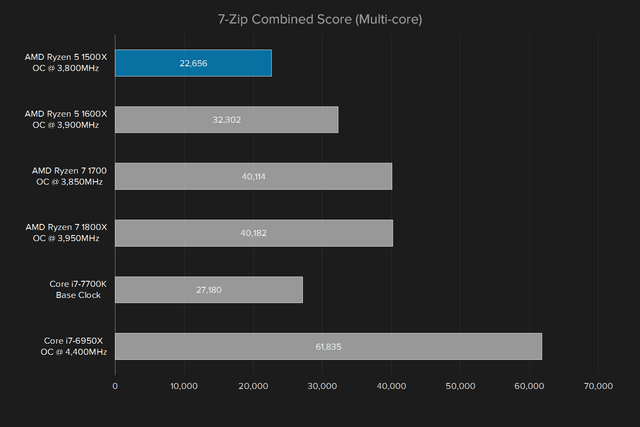 The biggest score difference comes from the Ryzen 7 chips, which both offer eight cores and sixteen threads. 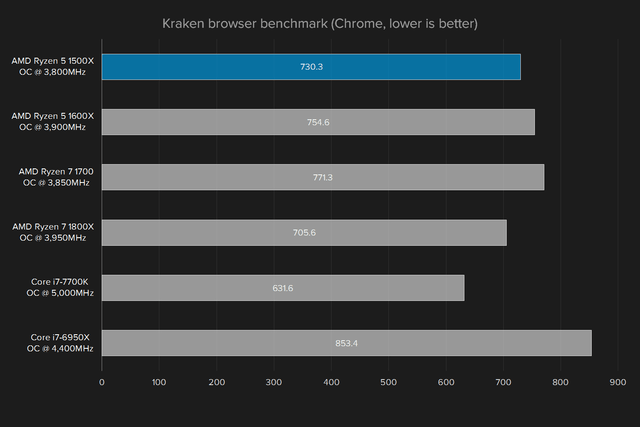 This gives them a massive advantage on tests and benchmarks that can take advantage of more than four cores. 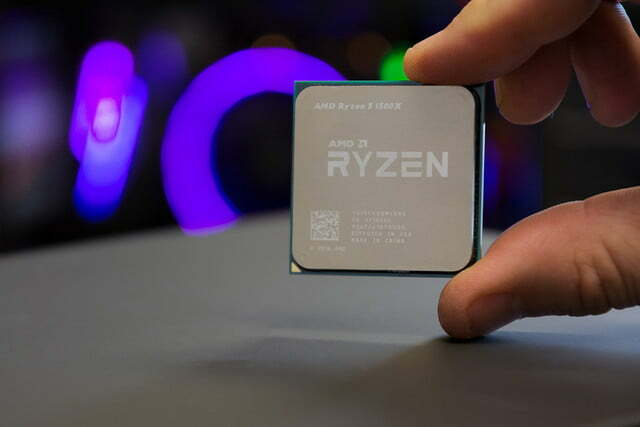 However, the Ryzen 7 chips don’t have much of a clock speed advantage over Ryzen 5, so the two trade blows in tests that focus less on multi-core performance. The Ryzen 5 1500X can make sense for users who want a fast, affordable all-rounder. It lacks some of the Ryzen 5 1600X’s extra-core appeal, but at $23 per thread, it could be worth the savings, depending on your workload. Gaming remains the most common stressful use case for most consumer systems. Here, the most important factor is whether the Ryzen 5 1500X creates a bottleneck for a high-end GPU. Mid-range system builders tend to care an awful lot about gaming performance, and the GPU is still the biggest determining factor. 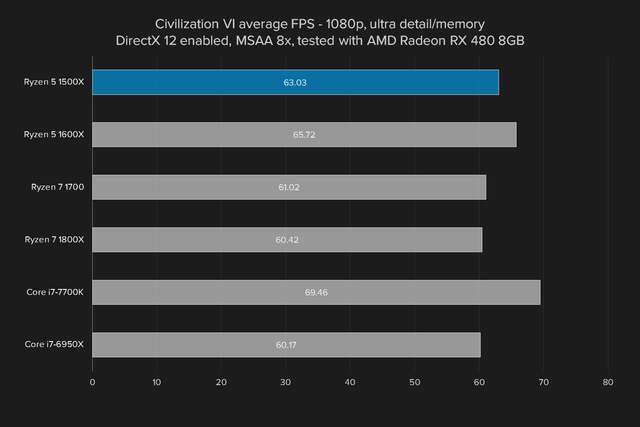 We tested the Ryzen 5 1500X with both an EVGA SC GTX 980 Ti and a Radeon RX 480 in For Honor, Sid Meier’s Civilization VI, and the 3DMark Time Spy test, the latter two of which run in DirectX 12. 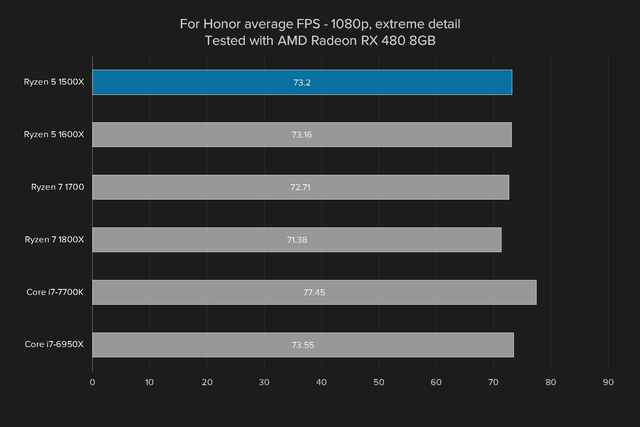 Most modern games don’t tax the CPU to its full power during gaming, For Honor being a prime example. 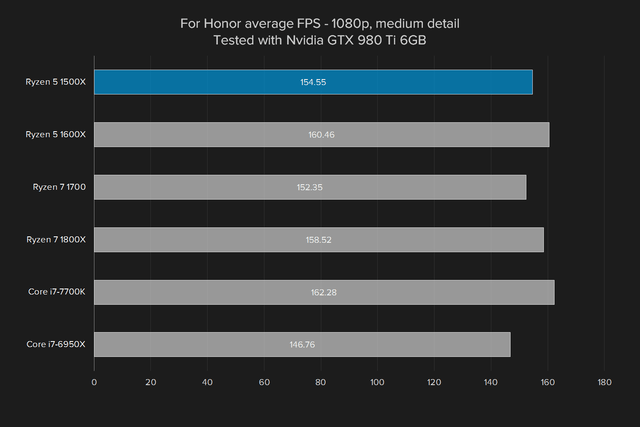 The average frame rate doesn’t swing very much across the different configurations, with just a 10 percent difference between the worst and best performing chips. That’s pretty minor, and it’d be hard to notice in subjective impressions. 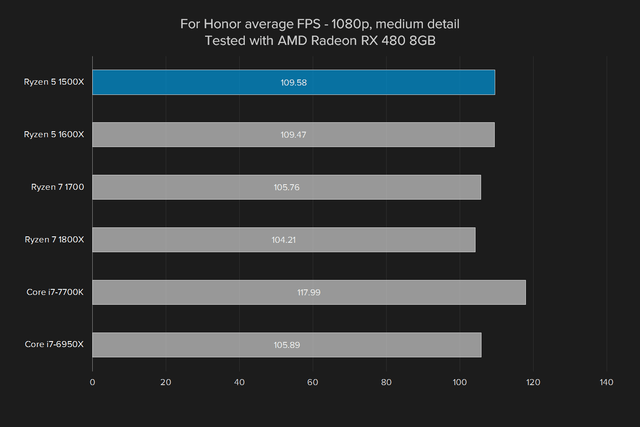 The Ryzen 5 1500X clearly isn’t the best choice for gaming. 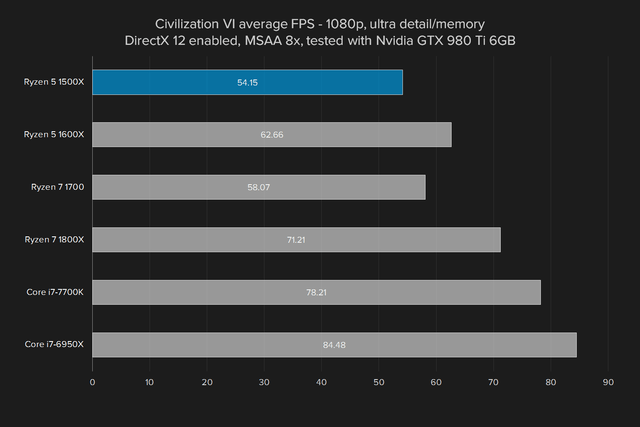 Sid Meier’s Civilization VI places more stress on the CPU than other games, and the difference between the chips is more pronounced there. 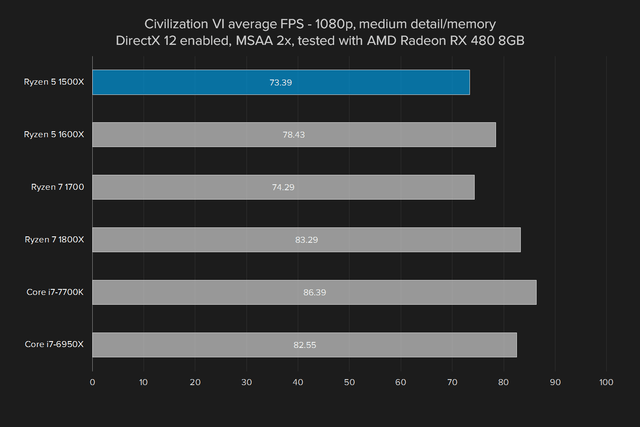 The Ryzen 5 1500X falls at the lower end of the spectrum, but not detrimentally so. It’s still reasonably close to the others. 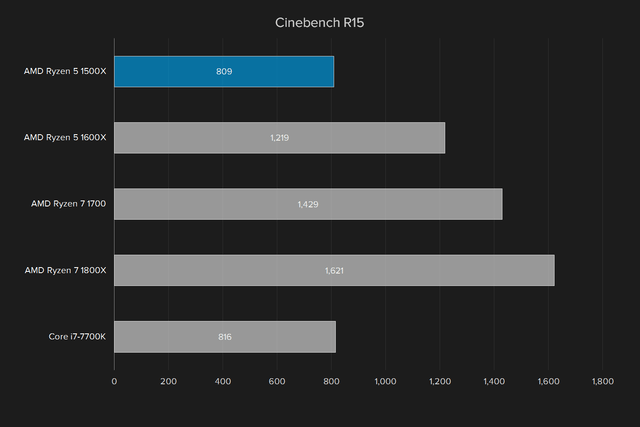 Once again, it’s worth noting the 1500X’s big brother, the Ryzen 5 1600X, falls closer to the Ryzen 7 chips than it does the 1500X. Given the small $60 price difference, that’s to be expected, but it’s certainly an appealing proposition. 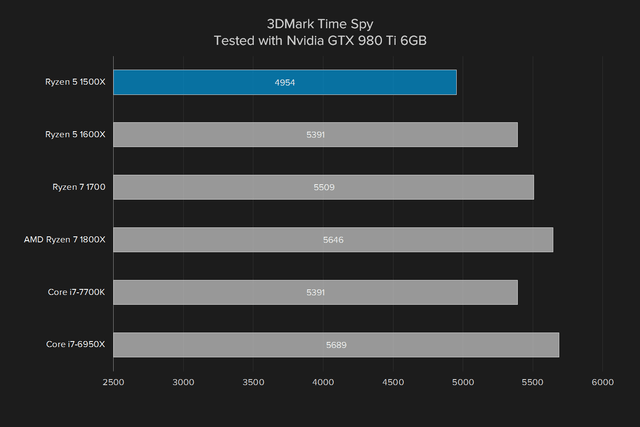 3DMark’s Time Spy puts the most strain on the CPU of any gaming test, and benefits from more cores more than a regular game. 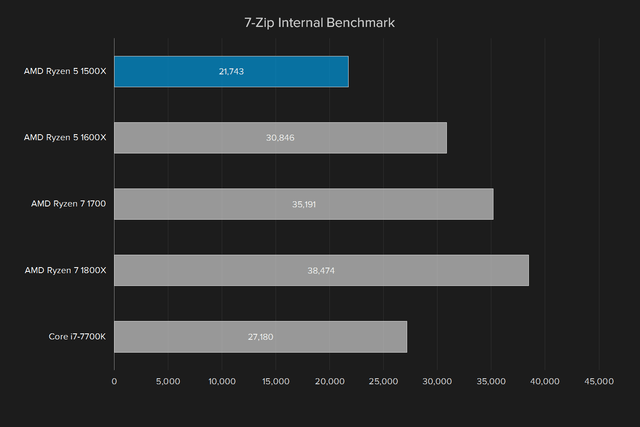 The Ryzen 5 1500X falls even further behind here, as every processor in the lineup, save the Core i7-7700K, has more cores without sacrificing speed. So, the Ryzen 5 1500X clearly isn’t the best choice for gaming, but it also shouldn’t prevent you from launching and running any modern titles you throw at it. It might seem a reasonable choice if not for the 1600X hogging all the glory. With the stock AMD Ryzen Spire cooler, the chip already reaches above 70 degrees Celsius when benchmarking, quickly closing in on the dangerous operating range for a CPU. That didn’t give us a lot of confidence when it comes to overclocking, even though the Ryzen 5 1500X sports an unlocked CPU out of the box. In fact, the automatic sensor put our chip to a 3.6GHz base clock, 100MHz over the chip’s stated base clock. As you can see, our fears were well founded. We were only able to squeeze another 200MHz out of the Ryzen 5 1500X, and that’s with a bumped voltage and temperatures peaking around 84 degrees Celsius under load. 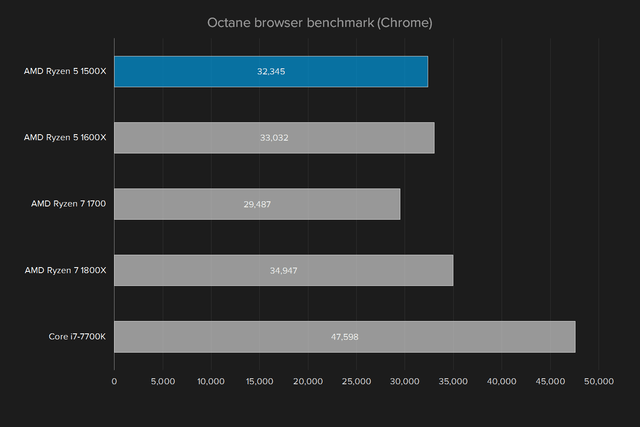 Worse yet, the performance boost under load was nominal in some use cases, thanks to the magic of Extended Frequency Ranges, or XFR. 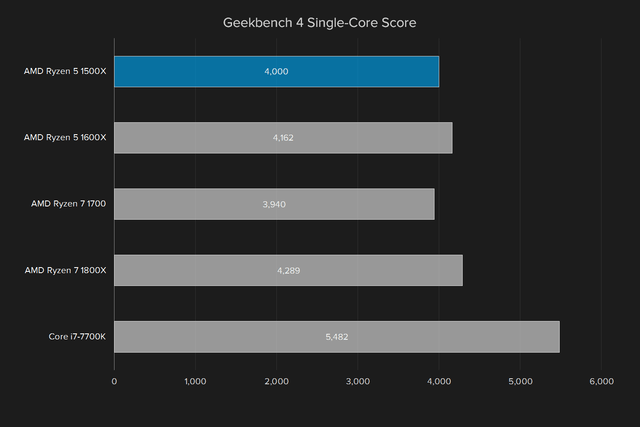 The Ryzen 5 1500X’s shortcomings in core count hurt its chance of success. Basically, Ryzen chips come out of the box in normal mode. The system automatically takes a few measurements and sets a reasonable clock speed and voltage for your chip. Because the Ryzen 5 1500X has the “X” at the end, it’s equipped with XFR, which allows the chip to automatically overclock itself beyond its normal Precision Boost maximum when conditions allow. Once you’ve flipped the switch and enabled overclocking mode, XFR is disabled. 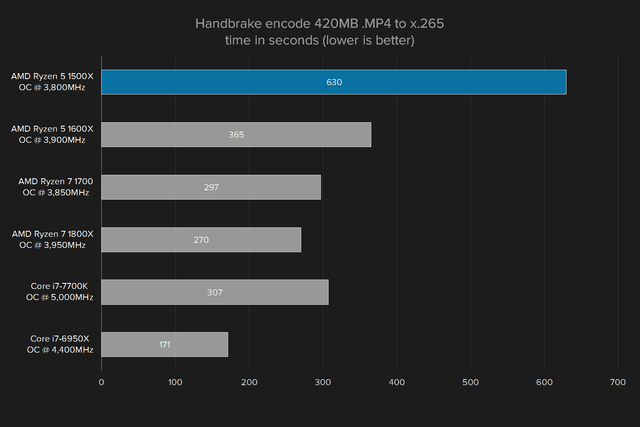 That means overclocking manually doesn’t net much improvement. We saw the same situation when we overclocked the Ryzen 7 1800X. The moral of the story is you’re much better off leaving all the settings right where they are when you install the system, at least if you’re using the included cooler. If you do want to overclock, though, AMD’s Ryzen Master software sets the bar high for tweaking utilities, with an easy to use interface and the ability to make significant changes to settings on-the-fly. You can read more about that in the Ryzen 7 1800X review. Like almost every other processor on the market, the Ryzen 5 1500X comes from AMD sporting a three-year warranty. 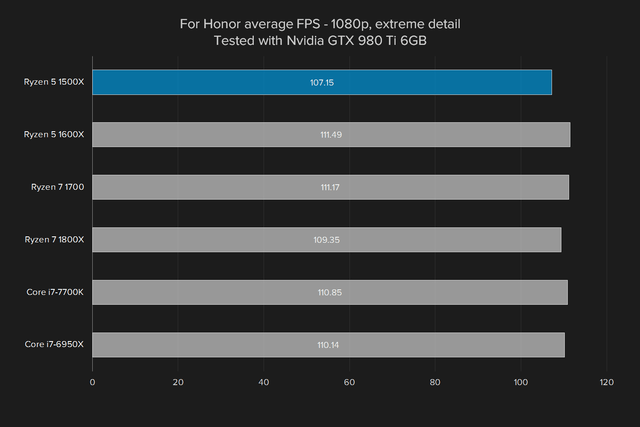 That’s the industry standard, but it doesn’t cover damage due to improper installation or overclocking. If you reach under the hood, make sure you’re careful. 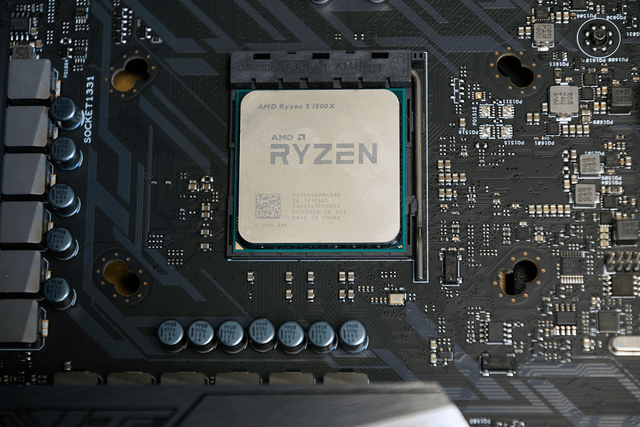 AMD’s return to relevance doesn’t stop with the many-cored Ryzen 7 1700, as the Ryzen 5 1500X serves up a gracious helping of mid-tier gaming and productivity performance. At just $189, it should blow Intel’s offering out at the price point out of the water, with plenty of room to grow. That said, the main draw for Ryzen is its high core count at an appealing price, and the Ryzen 5 1500X’s shortcomings in that area hurt its chances of success. 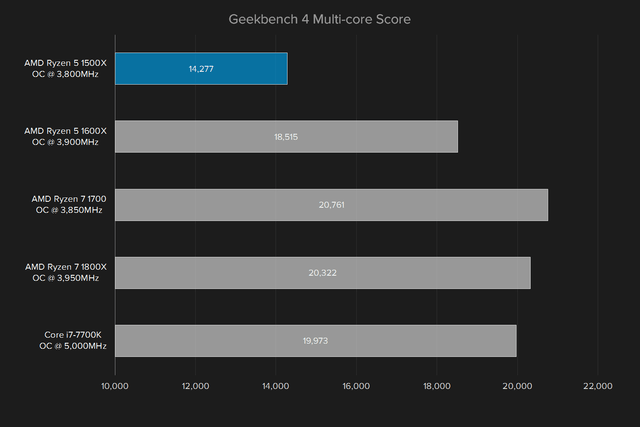 While processors stretch a huge range from $60 to $1,500 or more, the most obvious competitor is the Intel Core i5-7400. 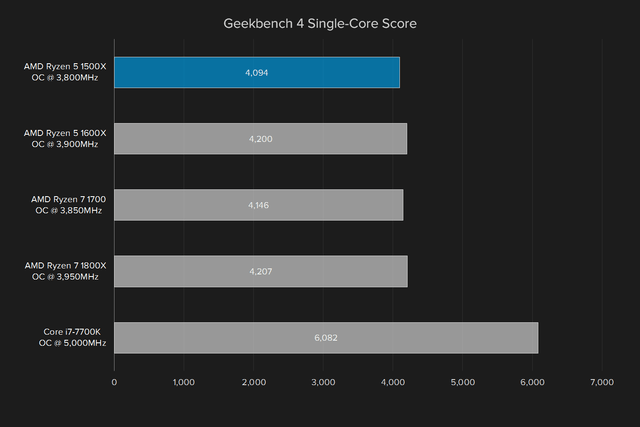 We don’t have one around to test, unfortunately, but we do have the slightly more expensive Core i7-7700K, and it just barely beats out the Ryzen 5, taking a stronger lead in some tests than others. 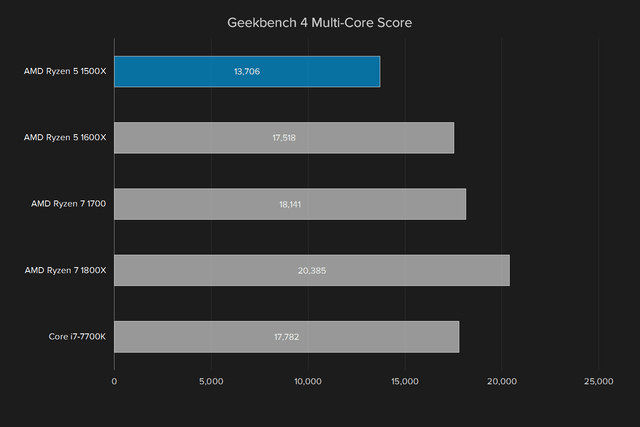 The Core i5 lacks multi-threading, which could help the Ryzen come out ahead. AMD’s Ryzen 1600X is also in the same league, and it turns out to be the 1500X’s biggest problem. Though it costs $60 more, the 1600X adds two extra cores, which means it significantly beats the 1500X in multi-core tests. If the split between the two were any closer, it would be a no-brainer, but as it stands, the Ryzen 5 1600X offers up a notable performance boost outside of gaming, while the Ryzen 5 1500X may stumble when asked for more than an Overwatch session. AMD has promised to continue using the AM4 socket until at least 2020, leaving users a clear upgrade path for later generation chips down the line. The other Ryzen chips have more than four cores, which may help down the line, but for now, most workloads don’t use more than what the Ryzen 5 offers in terms of core count. No. The Ryzen 5 1500X presents a solid alternative to the Core i5-7600K with all the modern features one would expect from a CPU, but the main draw for Ryzen chips is extra cores at the right price. The slightly more expensive Ryzen 5 1600X adds two cores and four threads, which will help with everything from streaming, to gaming, to productivity. Even if you’re prefer an AMD chip over Intel, you’re better off choosing the 1600X instead.